The Rhythmia consists of Pat Ireland on violin and Kevin Sanders on guitar. Their program notes says it well: “While considered primarily as piano solo music today, ragtime was often played during the late nineteenth and early twentieth centuries by string bands consisting of violins, guitars, banjos and mandolins. The Rhythmia is keeping this ragtime string band tradition alive.” They are based in Kansas City, and they are keeping alive ragtime that was written in Kansas City. One of the rags they played that night they also performed in the very first ragtime festival in 1974, Edward Harry Kelly’s Georgia Echoes. 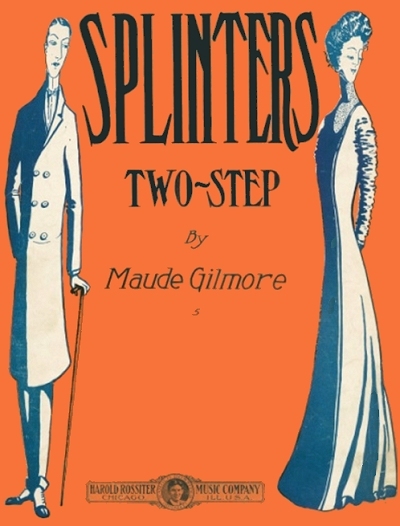 The other two Kansas City rags they played were Charles L. Johnson’s “Fun on the Levee” and Maude Gilmore’s Slivers/Splinters. I also got a video of The Rhythmia at a later concert. 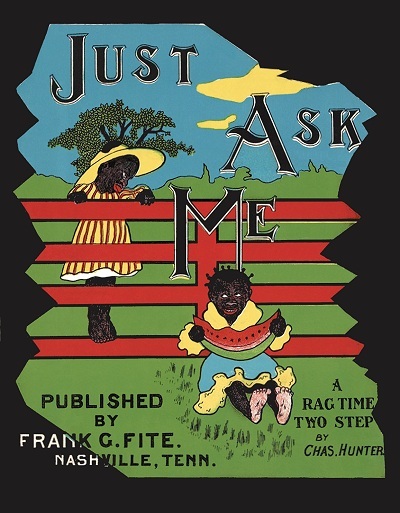 Jeff Barnhart treated us to not one, but three rags by Charles Hunter, who is a sad story of early ragtime which has been told many times. Jeff can put up a spectacular performance, and is a regular at ragtime festivals, but here he was just helping to forward the main program and giving us a listen back. Hunter evidently found himself welcomed in many places, and took full advantage of the hospitality, often to the detriment of his job, although there is no mention of him ever playing in “colored bars” such as Turpin’s Rosebud. As with many other performers who lived and played hard, the alcohol and carnal activity took a toll on his body. Trying to pull himself out of this destructive low point, Hunter managed to see the error of his ways and attempted to return to a healthier mode of living. On October 21, 1905 he was married to Estelle F. Inch. However, it was around this same that the tuberculosis that was starting to ravage his worn body was discovered. The disease finally took him on January 23, 1906, just 13 weeks after his marriage and a little short of his thirtieth birthday. Our emcee, Dave Reffkin, took his turn at the mike, asked Dave Majrchzak, former Festival director and outstanding ragtime performer, to accompany him on piano, and picked up his violin. Dave is the director of the American Ragtime Ensemble. He has a long history in the field of ragtime performance. He was involved in the creation of the Scott Joplin Ragtime Festival in 1974, and has received many cudos for his accomplishments, such as 30 years hosting the Ragtime Machine radio program and editing books on ragtime. Fred Sinclair Stone was a black Detroit musician who was born in Canada. The Bos’n Rag was one of his more successful compositions. Charles Kinkle is apparently not a ragtime composer and just composed a few schottishes. Ben Kilmer’s 1909 “The Nervous Kid,” is apparently not in the known Google world. I could find nothing on it or him. I was delighted to see Marty Eggers and Virginia Tichenor come out as our next act. Over my years in the Friends of Scott Joplin in St. Louis, I often crossed paths with the Tichenor family, especially since Trebor and the St. Louis Ragtimers made regular stops at the Scott Joplin House and the monthly Ragtime Rendezvous at Dressels Café in the Central West End. Virginia has helped me find rare music on occasion. 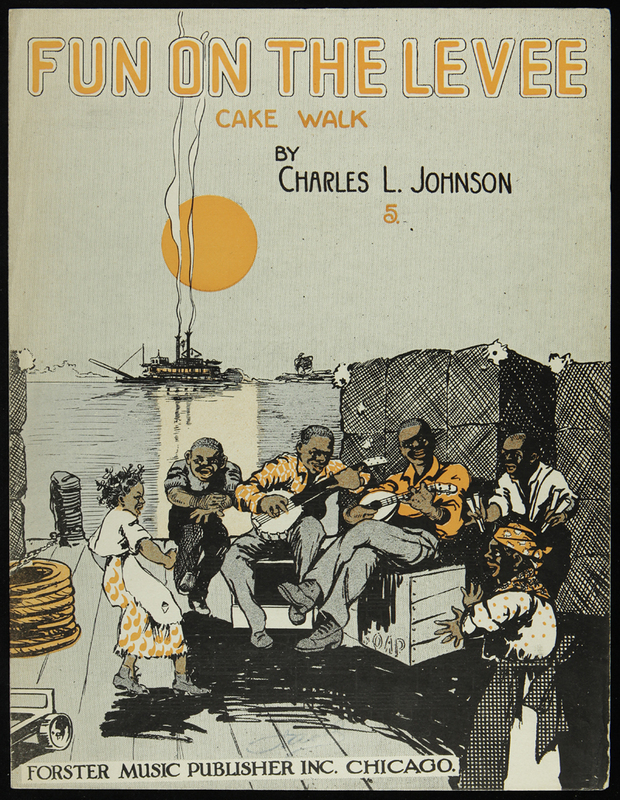 Including Tom Turpin’s 1897 Harlem Rag in the performance was particularly appropriate to the Cradle of Ragtime theme, both because this is a transcribed Missouri Valley rag from the very beginning of the ragtime era, and because of the central role St. Louis figure, Tom Turpin played in that era. Virginia plays both drums and piano, Marty plays both tuba and piano, but another wonderful choice was Virginia’s own performance of her father’s 1961 composition, Chestnut Valley Rag. 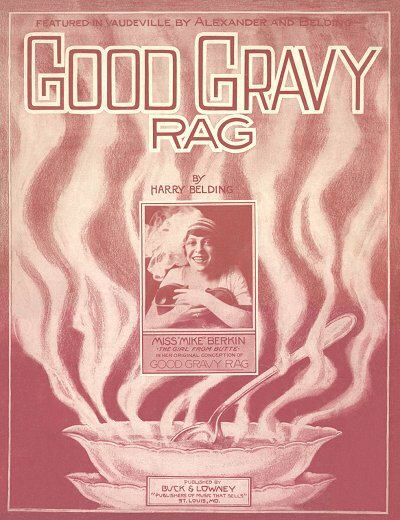 Their performance was rounded out with Harry Belding’s 1913 Good Gravy Rag. Virginia and Marty have also been performing and recording music as a part of the Crown Syncopaters. 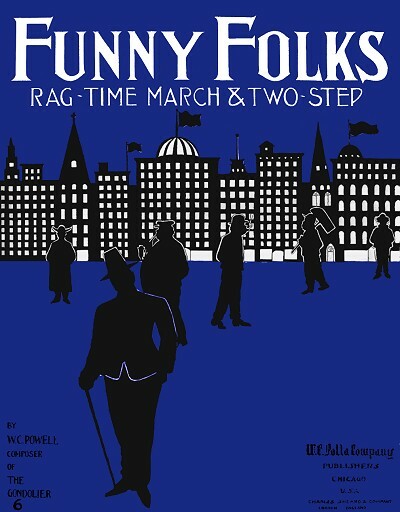 The blurb for their online CD, Ragtime Dance Party, reads “the world’s best professional musical trio devoted exclusively to American popular music of the late 19th and early 20th Centuries.” Fredrick Hodges rounds out the trio on piano, with Marty on tuba and Virginia on drums. Hodges is a ragtime and stride virtuoso in his own right from San Francisco. 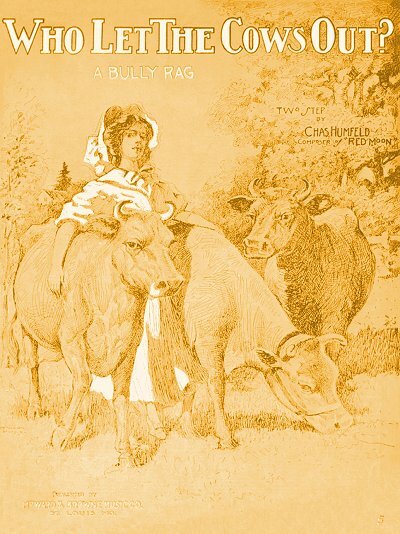 Thus ended the Cradle of Ragtime concert with three more compositions performed by these artists: Funny Folks by William C. Polla, 1904, Charles August Humfeld’s Who Let the Cows Out: A Bully Rag, 1910, and Walter Gus Haenschen’s, The Rambler, 1906. And so ended the first of several enjoyable concerts at the Scott Joplin Ragtime Festival. There’s no point in summarizing each one like I did this one. It’ll just be an online reminder of what was there for me or someone else who was there who happens to visit this site.